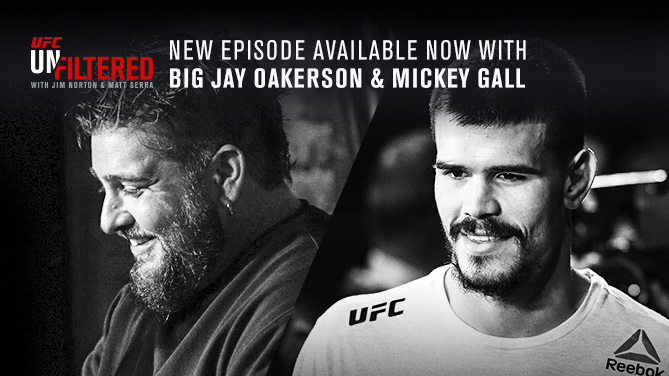 UFC Welterweight, and friend of the show, Mickey Gall joins the show and talks to the guys about fighting George Sullivan on August 25 at UFC Lincoln, learning from his loss to Randy Brown at UFC 217, working on his striking with Joe Schilling, living with Yves Edwards in Los Angeles, and more. Plus, comic Big Jay Oakerson joins in-studio and talks about how he got into MMA, Khabib vs. Conor, his new special "The Crowd Work Sessions 2", and more. Then, Jim and Matt discuss some MMA gossip and recently announced fights.